I got an e-mail message from Kyra Hammett that The Nate Show (which I don’t watch on principle 🙂 ) today was highlighting upcycled art. What is upcycled art you ask? Good question! 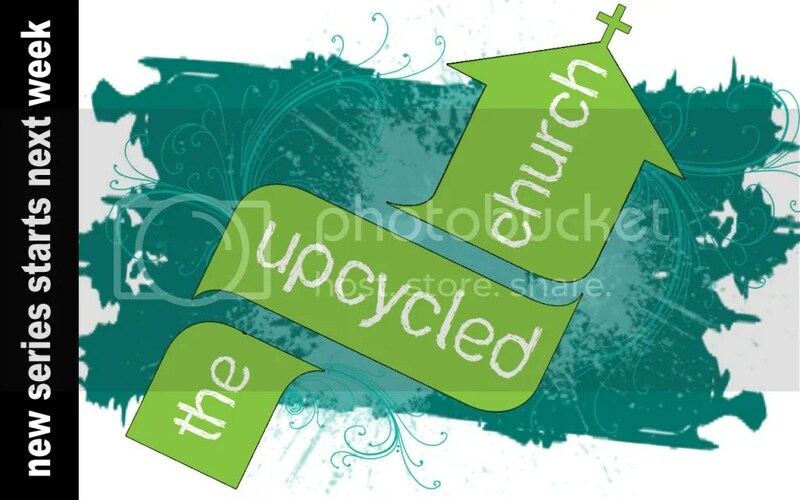 In the same way – God takes what seems like mundane, ordinary – and sometimes “junk” people and through the power of the Holy Spirit he “Upcycles” our life into greater purposes and beauty! One last thing: In conjunction with the Upcycled Message series we are working on an upcycled art project. To help us, you are invited to bring us your “trash” over the next several weeks. We will be collecting items that represent you…anything will do: cans, bottles, a pair of jeans, a gift from a relationship you’ve left behind, wrappers, shredded paper…anything. And with your trash, we will form a piece of art that represents for Living Stones: We want an upcycled life. If you have questions, feel free to send an e-mail to Jennae Gee here. 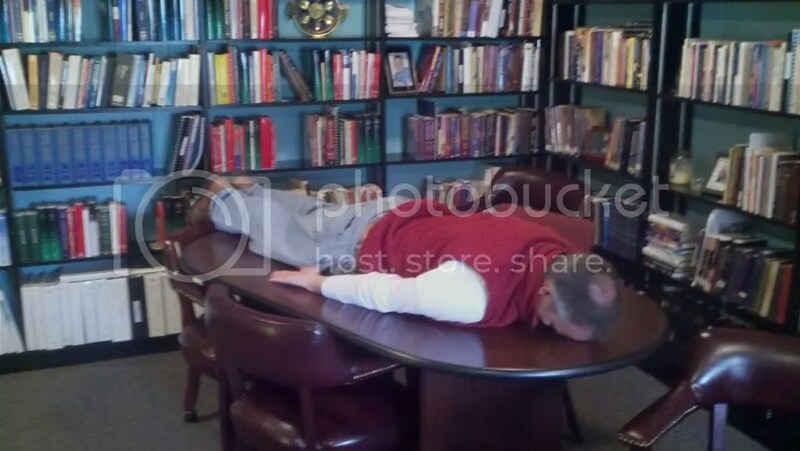 Greg either napping or illustrating the finer point of planking in my office. OK…that title might sound too much like an eulogy piece. Fortunately, Greg has not died *breathe a sigh of relief. * UNFORTUNATELY (for us), Greg and his family are moving to Kansas City, MO to become the Next Steps Pastor for the Pleasant Valley Baptist Church. Greg got a call last September from one of his best friends and a minister on staff with the church in Kansas City informing him of a new position they were creating and how he thought Greg would be perfect for it. Because Greg & Wendi were in the process of adopting two boys from Russia they passed on the opportunity, but not without Greg’s friend encouraging him to prayerfully consider the possibility. 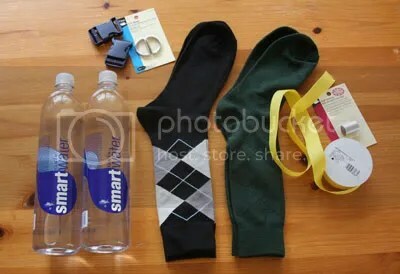 And then…the friend called again and REALLY encouraged Greg to consider, given his passions and gift-set, the position. Ultimately, Greg interviewed with the church and received an affirmation and calling to go serve in Kansas City. I’m sad to see Greg go. I have greatly appreciated his work, leadership, and friendship during his time at Living Stones. But I too had to confess that when I heard about the details of the new position – I knew Greg would be great at it! Even though we announced to the church a few weeks ago his future plans, THIS Sunday will be Greg’s last Sunday with us at the Living Stones Church. We know God has been a part of this whole process, including the successful sale of his home (like in record time…there are three houses for sale in his neighborhood and the average duration of being on the market before a final sale is over 250 days!). Continue to pray for Greg, Wendi, Etara, Adam, Alex, and Nick as they begin a new work and a new life in Kansas City, MO. Communitas – is an intense community spirit, the feeling of solidarity and togetherness achieved by sharing in a common experience. What are Communitas Groups? Go HERE and listen to the last two podcasts (if time is limited…pick the second part of the two). In it, I describe the vision and philosophy of our small groups ministry as we launch the first week of March our NEW Communitas Groups. Sign up HERE to be in a group. There are 12 different groups meeting at different times with different leaders and different formats (e.g., men/women, etc.). I am VERY excited to see what God does through these groups on our quest to become spiritually fit – ready for ANYTHING!! I haven’t blogged about the Biggest Loser in a long time. I’ve been a loyal fan for quite sometime. And even though I have fleeting moments of temptation to drop the show, I keep coming back. I’m not really even sure why. I’m sure a psychiatrist could work with me to uncover some of the reasons and rationale for it. I think out of all the seasons, this one is my least favorite. I think the contestants are the least likable (and I’m not saying that as to who they really are as people, but more in regards to the editing process of the show). 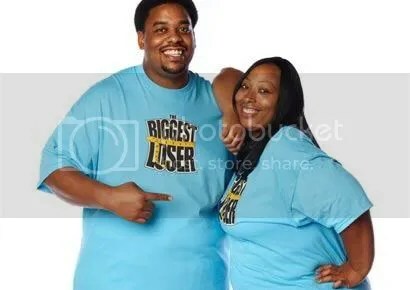 Biggest Loser – you are very close to “jumping the shark.” Particularly with the showcasing of Conda, and most recently Adrian & Daphne, in all of the drama and conflict. It is just unnecessary. New viewers are not going to tune into Biggest Loser because of the drama of personal conflict. It isn’t that good and other shows top you in the “drama” category. You might have loyal fans continue to watch, and even do so with peaked interest at the unfolding conflict (much like a train wreck you can’t turn away from), but you risk losing other fans who are exhausted in it and aren’t watching the show for relational conflict, but for what the show was supposed to be about – people turning their lives around through hard work and new habits of life. Don’t jump the shark!!!! I was rooting for Adrian & Daphne. I thought it unfair the first week when they got sent home within 15 minutes after losing the challenge. And how hard is it to break into a team that already has an established dynamic after a month’s time!!!? Very unfair. However, could Adrian and Daphne have handled the situation any worse? Very unlikable. Good bye. Posting has been a little sporadic lately. I’ve been out of town at a few conferences. Last Tuesday I left for Dallas, TX to attend Fellowship Church’s C3 Conference. Because of generous friends, the entire conference is paid for. I have been (I think) for the past eight years. I don’t meet many people who have been there as long a I have. And I think there is a reason for that. After 1-2 times you kind of get it. You see Fellowship Church’s ministry philosophy, you know the overall vibe, you get the tone. It isn’t that you don’t hear great preaching (Judah Smith & Steven Furtick were phenomenal). But after so many years, there becomes a lot of repetition. It makes me curious about other conferences and the life-span of conferences in general. When a church puts on an annual conference do they have to recruit new attendees, or do they have a loyal following? Yesterday, four of us when to Chicago for a GivingRocket conference. It was a one day seminar on issues of congregational stewardship. It was at the Orchard Community Church in Aurora, IL. It was short, but I thought excellent. I just finished watching the first four seasons of the show Breaking Bad. It could be one of my favorite shows of ALL TIME! 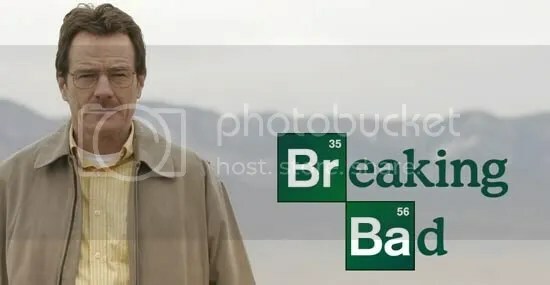 It is an excellent story about a mild-mannered chemistry teacher who ends up being a Meth cook to finance treatment he needs for cancer. 1. How sin, little by little, can take over a life. 2. Every action has a consequence. 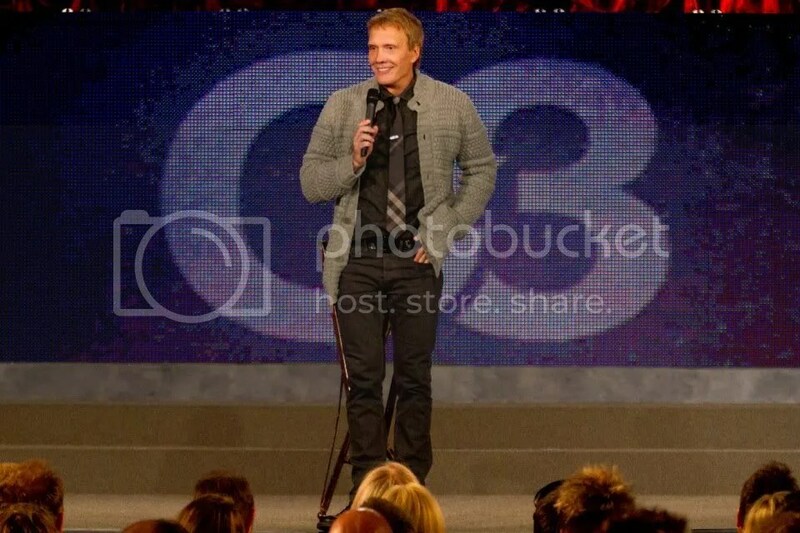 I’ve attended the C3 Conference every year for probably the past eight years. Generous friends who live in Texas invest in me every year by paying for the conference fee, getting me a plane ticket, and providing housing. And every year, for the last eight years or so I have flown down on the Wednesday afternoon of that week. 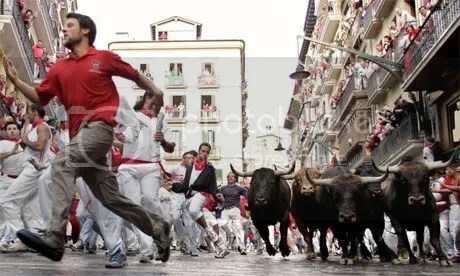 So…I had in my head that I was flying down on Wednesday afternoon. So…I pull up the itinerary e-mail and sure enough…MY PLANE LEAVES OUT OF THE O’Hare AIRPORT AT 4:25 PM!!! It is after noon and I’m sitting in my office without a single thing packed thinking I’m leaving the next day. After the overwhelming panic – I rushed home, backed a bag in the fastest time ever (I hope I remembered underwear) – rushed to Chicago, and made it to the gate with an hour to spare!! Yes…I’m that good. So…to my wife…on Valentine’s Day (see previous post)…sorry!